My house is seriously lacking in Easter decor. Now that I think about it, we don’t have any! I’m sorry, but for a craft blogger, that is just unacceptable. 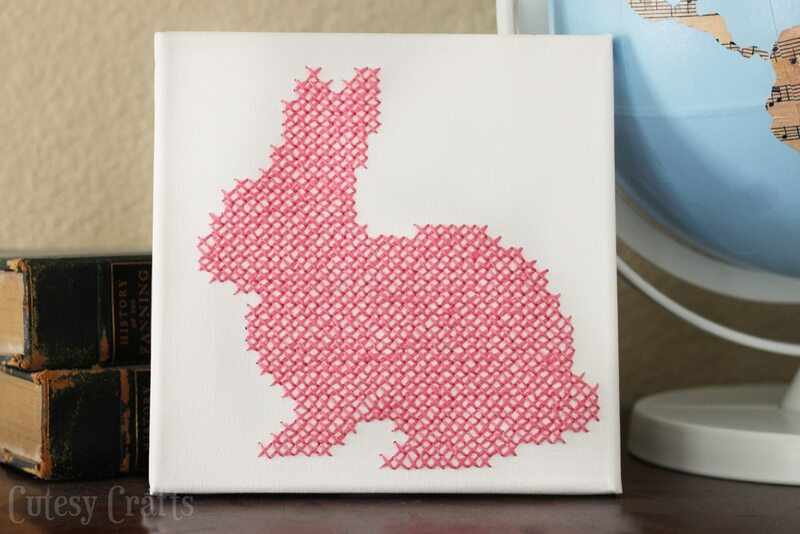 I decided to take my love of hand stitching and turn it into this cute cross-stitch bunny on canvas. Yep, I stitched directly onto the canvas! How cool is that?! 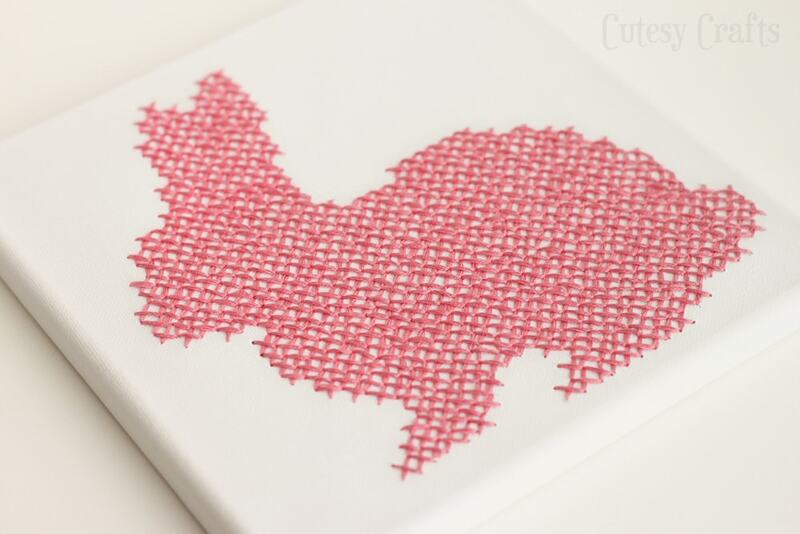 Print out the pattern and tape it onto your canvas. Poke holes on the corers of every box that is shaded in. You don’t want the holes to be huge, so if you are using the brad setting tool, don’t poke all the way through. Painting canvases don’t heal the way fabric does when it’s pierced. 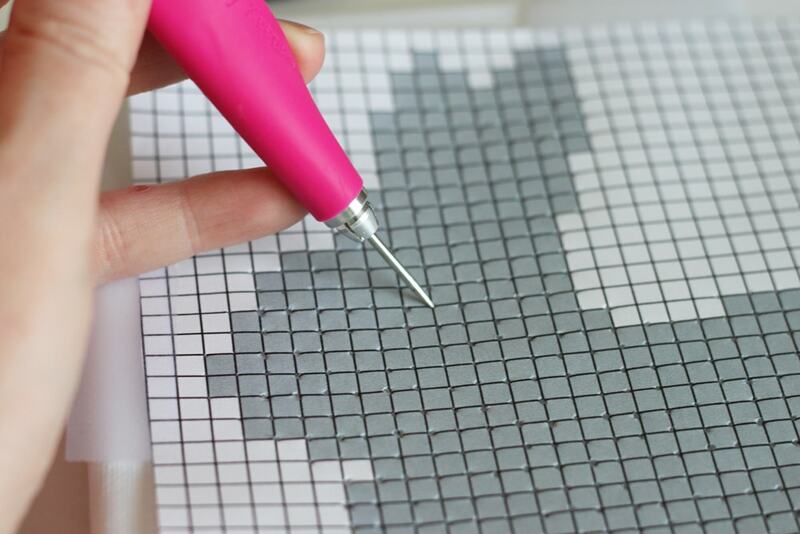 Great for marking out a pattern, but bad for mistakes, so be careful! 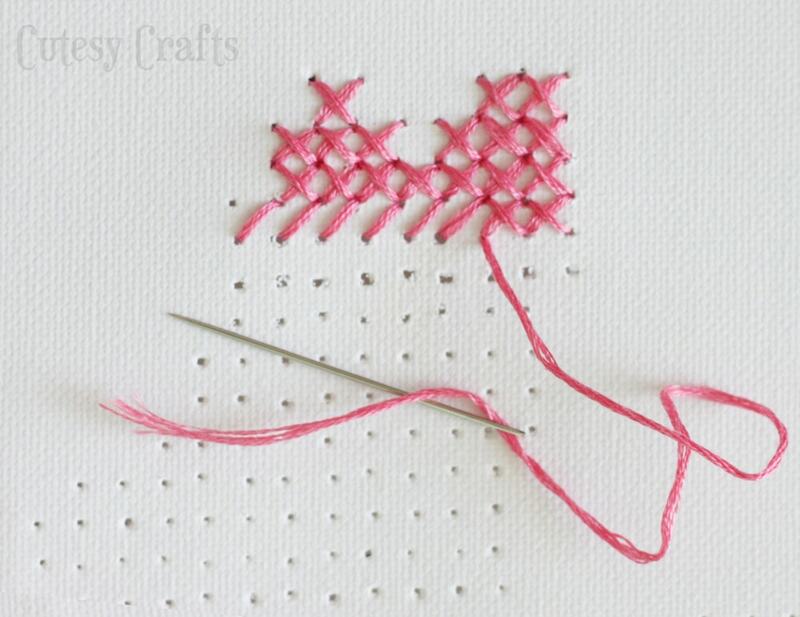 Tie a knot in the end of your embroidery floss, bring it through the back and start cross-stitching. When you get to parts that are blocked by the wooden frame in the back, just angle your needle and slide it under. I was worried that this would be difficult, but it wasn’t bad at all. 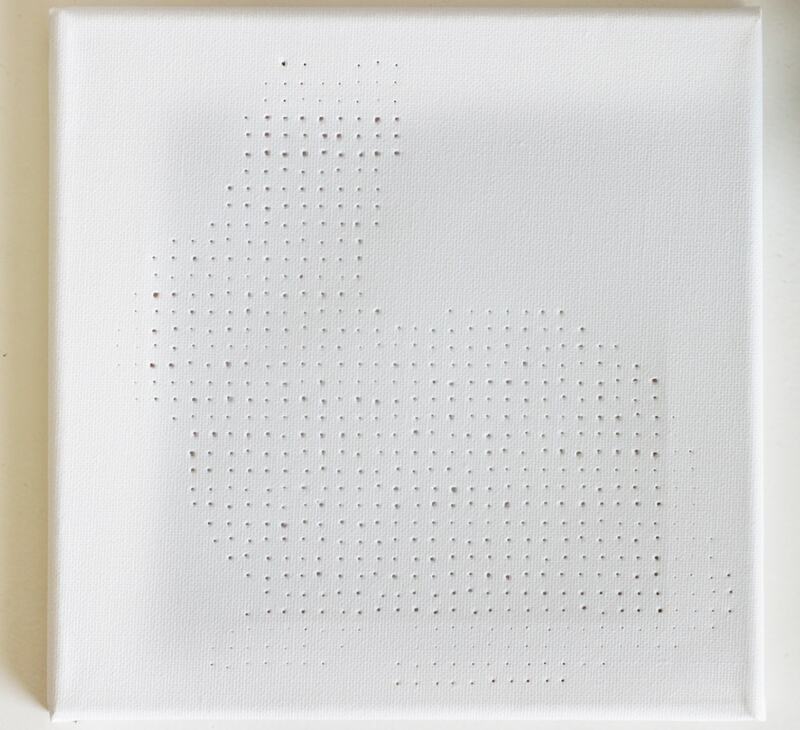 Look at the front of the canvas and move the needle around until you find the right hole. After lots and lots of stitching, you’re bunny will be done. The canvas looks so cute on top of the piano next to our globe. There… now I have an Easter decoration. Check that off the list! 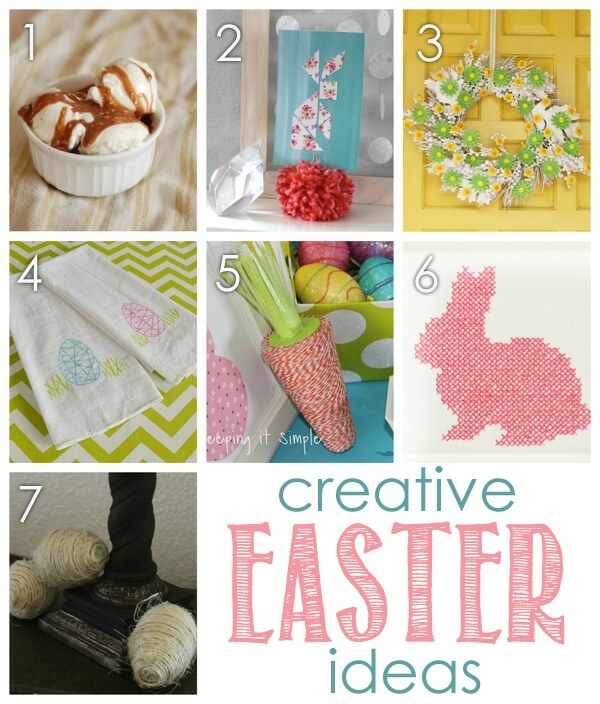 And make sure to go check out the super creative Easter ideas from my blogging pals. I’m inspired just looking at the photos! Bring on Spring!!! That’s so cool! 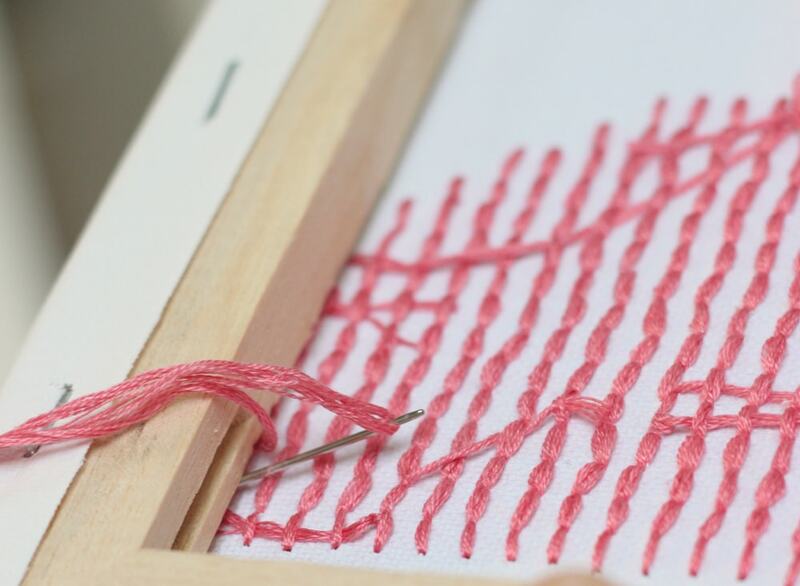 That tool is pretty handy, the possibilities for this projects could be endless! Love it! This is so cute, Jessica! 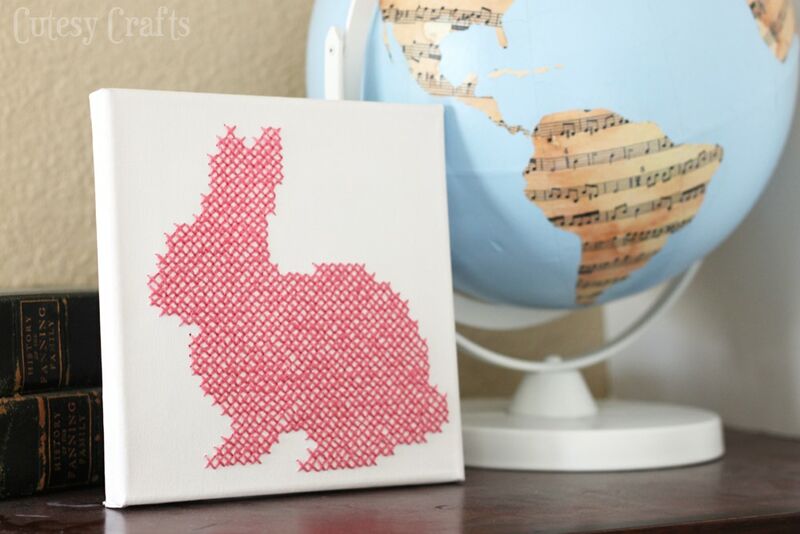 I love solid color cross-stitch like this. It manages to be modern and graphic and folksy and cute all at the same time. Love it! I LOVE THIS so much! It is such a great idea.. and your tutorial is great. This is sheer genius right here! And it takes me back to my cross-stitching days of old. I might have to adapt this idea into a future canvas creation. Thanks for the inspiration, friend! Pin time! Love this Jess but I’ll admit I’m terrible at the hand stitching anything as evidenced by my to-do board. Maybe you can teach me at SNAP, yay! Thanks Britni! We should have an embroidery class in our room! lol I would love to teach you! I needed a snowy weekend project, and this fit the bill! It turned out so cute. Of course, I didn’t read the *three* skeins requirement. I had two of ththe same color and sweated out the last two rows! I had one inch of thread left! Thanks for the pattern. I saw it on Pinterest.